Explore a stimulating world of flavours, textures, and settings at Le Méridien Barcelona’s acclaimed restaurants and bars. With a cosmopolitan yet relaxed atmosphere, CentOnze restaurant invites you to a culinary exploration of fresh local flavours, reinterpreted with flair, and served in a bright, street-level setting with views of Las Ramblas. At Le Pop Cocktail Bar, take in the essence of the 1950s through early ’70s playlist infused with New Wave music and pop-culture inspired graffiti. Cocktail hour is a social affair when our master mixologists serve up their effervescent creations as part of Le Méridien Sparkling. 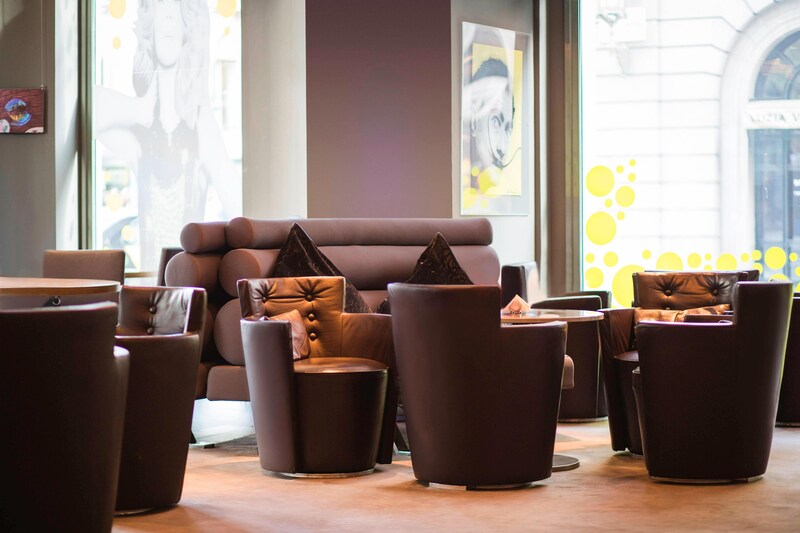 Located within the chic Le Méridien Hub, our casual Longitude Bar 02º 10&apos; is the ideal spot to start the day with a stimulating breakfast or to linger over an illy coffee, or simply to pick up a coffee and pastry as you head out the door to explore. Guests are invited to take a culinary journey of discovery-where a mix of traditional ingredients and classic flavors create unforgettable results. The chic interior is punctuated with bright colors and floor-to-ceiling Las Ramblas views. Inspired by Barcelona&apos;s renowned cocktail culture, Le Pop Cocktail Bar takes the traditional cocktail hour to a new level of effervescence with its exciting blend of signature drinks, stirring music, and a vintage savoir vivre with modern twist. Le Méridien Hotels passion for coffee goes beyond the art of hand-crafting imaginative Illy® espresso drinks. Coffee inspires, sparks creativity and encourages social gathering. Explore the exciting flavours and textures of Barcelona&apos;s exciting culinary scene, with a series of tantalising workshops, showcases, and tastings. Enjoy a little sweet joie de vivre with this chic treat at Le Méridien hotels. Transforming the traditionally chic Parisian pastry into something decidedly modern, éclairs at Le Méridien inject your day with a little sweet joie de vivre. A delectable nod to our European heritage, enjoy these signature confections in classic or unexpected flavours inspired by each destination. Awake to inspiration with a local-focused twist on morning. 4 Gats was founded with the clear idea of becoming a good restaurant, a reference point in Catalan culture, a place to conduct discussions and a place that would give the opportunity to exhibit the works of young artists. Brasserie located on Las Ramblas, serving tapas, salads, pastas, sandwiches and wood oven pizzas. Dishes to share, and quick friendly service, all day long. Open kitchen with a wood oven. 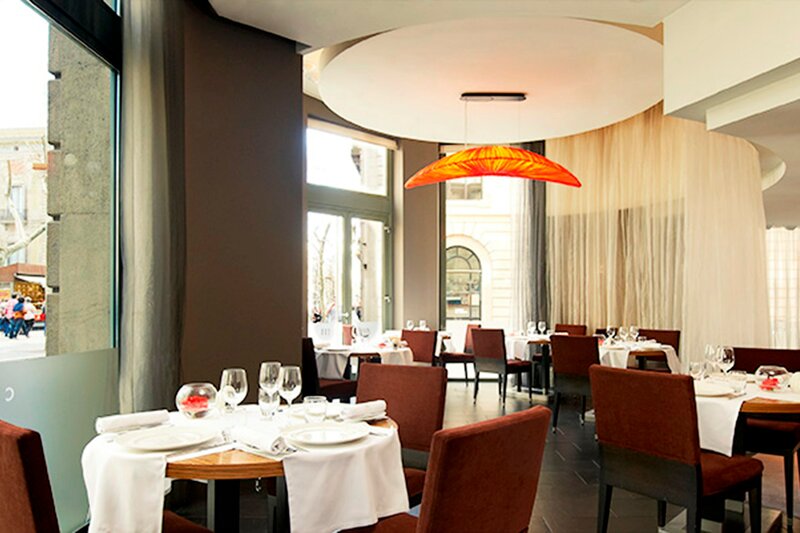 En Ville is an elegant and warm restaurant located in the Raval district of Barcelona. The cuisine is based on creative cooking, offering customers a variety of original dishes combined with traditional elements of both Catalonian and French cuisine. ocated in the heart of Barcelona, Casa Guinart brings us one of the best tapas restaurants in the city. All the dishes are cooked to order to lock in all the flavour of the excellent produce from neighbouring stalls at the Boqueria market. It’s a Catalan cuisine that will satisfy your taste buds. As for their liquor bar, only Catalan liquors are used in their dedicated cocktails.